On behalf of the Cordillera People’s Alliance, it is an honor to pay tribute to Atty. William F. Billy Claver on the occasion of this book launching of this collection of some of his speeches and statements. 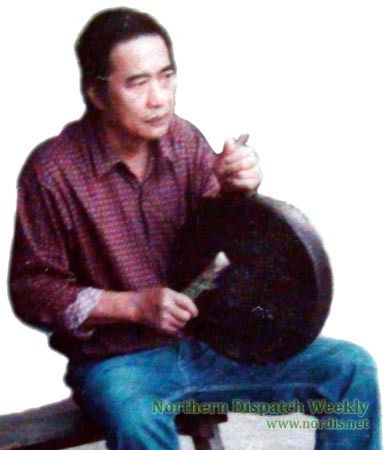 I will speak of his indispensable role in the growth of the Cordillera indigenous people’s mass movement and in the wider Filipino people’s movement for national freedom, social justice and democracy, for my memories of him are also the nodal points in the early growth of the Cordillera militant mass movement. I first met Billy Claver in the anti-Marcos dictatorship struggle in the Cordillera. During the early years of martial law, a popular resistance against development aggression and in defense of ancestral land developed in response to the destructive Chico mega-dams project and Cellophil Logging Corporation. As an indigenous lawyer, Billy Claver had to respond to the many cases of repression and human rights violations, mass arrest and detention, torture, and extra-judicial killings committed against his own people, who were merely defending their ancestral lands, culture and indigenous life. Billy Claver was among the founders of the Free Legal Assistance Group (FLAG) along with former senators Jose Pepe Diokno and Lorenzo Tanada, who also became advocates of indigenous people’s rights in the anti-Chico dams struggle. 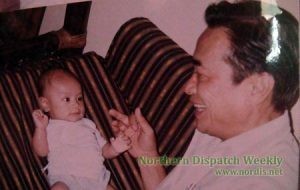 Billy served as chairperson of FLAG Region II at the time when the Cordillera provinces had not yet been regionalized and were still divided into regions I and II. I remember that while Billy was able to recruit Cordillera lawyers to FLAG, he had the hardest time recruiting lawyers from the Cagayan Valley. I’m sure many of us have seen the classic picture of Senators Diokno and Tanada with the elders/papangat of Kalinga. This was taken during the International Fact-Finding Mission after Macliing Dulag was murdered by government troops on April 24, 1980. After Lt. Leodegario Adalem was charged in the military court martial, Billy served as the private prosecutor during the trial of the case in Camp Allen, with support from the other FLAG lawyers in the Sanidad law office. There were a series of broad anti-fascist formations that were set up during the US-Marcos Dictatorship, and Billy invariably was among the personalities who composed these alliances. In 1981, there was a Cordillera-wide Lawyers and Professionals consultation and Billy was key in mobilizing lawyers in the Cordillera provinces to this activity. The consultation resulted in the formation of the Cordillera Consultative Committee (CCC) with Billy as chair, Fr. Patricio Guyguyon as vice chair, and myself as secretary and coordinator of our office Cordillera Consultation and Research, the forerunner of the Cordillera Resource Center for Indigenous People’s Rights. I remember that among the activities of the Cordillera Consultative Committee were discussion groups on indigenous people’s rights and self-determination. It was then that Billy shared with us that during the aborted 1971 Constitutional Convention of which he was a part, he had already tried to propose an Ancestral Land Rights Law, but he came up against stiff resistance from the mining and corporate lobby. It was from these discussion groups that we moved in the direction of defining the substance and features of self-determination in the Cordillera. It was also the Cordillera Consultative Committee which convened the First Cordillera Multi-Sectoral Land Congress, which was the first organized effort at deepening the the issues of ancestral land in the Cordillera. In 1983, the first Northern Luzon Wide Para-Legal Training was sponsored by FLAG and the Cordillera Consultative Committee. Again Billy was key in convincing Cordillera professionals to be part of the para-legal network. 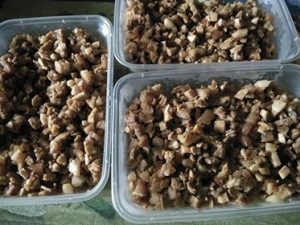 From here, para-legal training was re-echoed in the Cordillera provinces and Northern Luzon. In 1984, in an effort to project “normalization,” Marcos called for national elections in the face of widespread opposition to the fascist dictatorship, especially in the aftermath of the assassination of Ninoy Aquino. Billy initially had wanted to run in the elections for the Batasang Pambansa, but he soon recognized the futility of participation, and agreed to chair the Cordillera Coalition of Organizations for the Restoration of Democracy (Cordi-CORD), which campaigned for the boycott of the farcical elections. Cordi-CORD participated in the national lakbayan, sakbayan and other protest activities against the US-Marcos dictatorship. 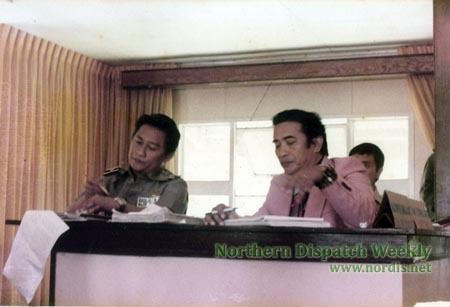 On June 1-3, 1984, a Cordillera People’s Congress was convened in Bontoc by the Cordillera Consultative Committee and Cordi-CORD, and the Cordillera People’s Alliance for the Defense of Ancestral Domain and Self-Determination was born (photos 3). Billy Claver was the founding chairperson of CPA, and he served as our chairperson up to the historic events that led to the downfall of the dictator. He offered the use of his house in Bontoc, which served as the CPA office during our early years. 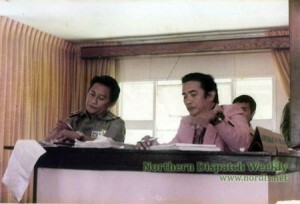 As CPA chairperson, Billy would preside over the meetings of the Regional Council (photos 4). I remember that we made it a point to bring the council meetings to the different provinces of the Cordillera so that there would be occasion to meet with the member-organizations of the alliance. As a people’s lawyer, he would also participate in the fact-finding missions that were organized to investigate the numerous human rights violations of the Marcos dictatorship. 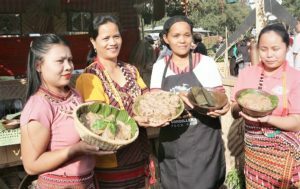 In 1985, CPA hosted a gathering of indigenous peoples in Asia, called Dialogue Asia, sponsored by CCA-URM and NCCP, in Baguio City. Billy gave the keynote address at this consultation, and he shared our collective efforts at fleshing out the substance and features of self-determination in the Cordillera. It will be remembered that it was Dialogue Asia which led to the formation of the Asia Indigenous People’s Pact (AIPP). As self-determination is a common aspiration of indigenous peoples, from Dialogue Asia he was invited by the Ainu indigenous people of Japan to visit there and speak on indigenous people’s rights and self-determination. This same year, Billy and I travelled to the United Nations in Geneva to attend the Working Group on Indigenous Populations. This was the first participation of CPA in the UN mechanisms for indigenous peoples. In the succeeding years, CPA would sustain its participation in the UN processes, and was consistently part of the indigenous lobby which would culminate with the passage of the United Nations Declaration on the Rights of Indigenous Peoples in 2007. In 1986, after the EDSA I uprising, CPA was one of the early groups invited by Cory to MalacaHang since Billy was among her allies during the snap elections. In this meeting, we articulated the demands of the Cordillera people – the cancellation of the Chico and Cellophil projects, the return of the land grabbed from the Ibaloi people of Taloy Sur, recognition of ancestral land rights and regional autonomy, among others. From here, CPA had an expanded Regional Council meeting in the Marcos Park at Taloy Sur. Billy was appointed as Officer-in-Charge for Kalinga province by Cory and therefore had to resign as chair of CPA. When Billy was elected as representative of Kalinga to the Lower House of Congress after having served as elected governor of Kalinga, his goal was to be able to draft and have enacted legislation recognizing indigenous people’s rights. He was among the original proponents for the passage of an Indigenous People’s Rights Act. 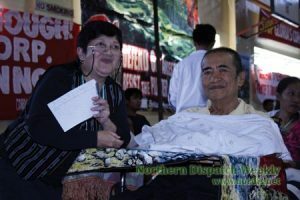 In 2002, during the commemoration of Cordillera Day in Dupag, Tomiangan, Kalinga, CPA honored our founding chair Billy Claver. Although already in a wheelchair, Billy still found it in him to go to Dupag to celebrate with us there. Again in 2009, Billy joined us during the 10th Congress of CPA where he gave an inspirational talk reminiscing about the anti-dictatorship struggle and CPA’s early days. Today, in the twilight of your life, we Cordillera activists salute you, Atty. William Billy Claver, for your service to the Cordillera people and Philippine indigenous peoples as a trailblazer in the advocacy for indigenous people’s rights and as a human rights lawyer. You spent the best years of your life in the struggle. You have touched our lives, and have served as a model and inspiration for many. The Cordillera People’s Alliance will carry on with the struggle. This was the speech of Joanna Cariño during the book launching of William Billy Funa-ay Claver (Selected Speeches) on December 14 at the Quirino Hall, Teachers Camp, Baguio City.